Most businesses use electricity, and it can be easy for these costs to mount up every month. Nobody wants to pay any more than they need to, and shopping around for the cheapest business electricity rates is an easy way to keep your costs down. Here’s what you need to know to start cutting your business’s monthly outgoings. Comparing business electricity quotes can seem daunting at first, but that’s where we come in. We’ll do the hard work for you - we’ll collect quotes on your behalf, help you compare the best deals and even support you each step through the switch. All you need to do is give us a quick call on 0800 140 4659 to talk through your business and its needs, and then our business savings experts will find quotes tailored to your specific requirements. This should all be included on your most recent bill. If you’re having trouble finding the details, out business energy bill small print pointer can help. The price you pay for your business electricity depends on a number of things, such as the size of your business and the size and location of your premises, for example. This table should give you an idea of the average amount you can expect to pay. Who is the cheapest business electricity supplier? Don’t roll over: when your current contract comes to an end, your supplier will want to automatically move you onto a rollover contract. Don’t accept this, as the rates on rollover contracts are significantly more expensive than what you’re currently paying. Cancel your contract: it’s essential that you cancel your current contract in writing, either by email or post, before the end date in your terms and conditions. If you don’t cancel your current contract, you won’t be able to switch to a new one. 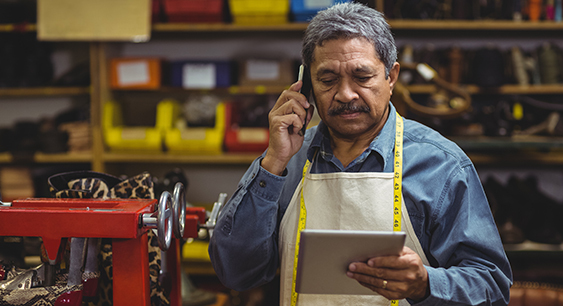 Shop around: this is the single best way to make sure you’re getting the best deal possible for your business. Our experts can take the hard work out of this for you - just give us a call on 0800 140 4659 to get started. Sign a new contract: make sure you formally sign a new term, otherwise you’ll be offered ‘out of contract’ rates. These are at least double what you’re paying today, and will come into effect when your old contract expires. Does your business need half-hourly electricity? Half-hourly electricity is when your business uses a half-hourly electricity meter to send updated readings to your supplier every half an hour. It’s an automated process that provides very accurate bills, and makes it easy to identify the period when your business uses the most electricity. The main types of business that use half-hourly electricity are large companies that use energy intensively, like factories, warehouses and very big offices. If your business has a maximum demand of 100kW or more in any half hour period during the day, then you must use half-hourly metering by law. If your business has a maximum demand of 70kW or more, you have the option of having a half-hourly electricity meter installed. How can Make it Cheaper find cheaper electricity rates? When it comes to shopping around for cheaper business electricity rates, there are no standard ‘off the shelf’ deals available, so each supplier will give you a quote tailored to your business’s specific needs. It can be daunting to have to contact each supplier individually, so Make it Cheaper do the hard work for you. All you need to do is give us a call on 0800 140 4659 and give us some details about your business, the amount of electricity you use, and your current tariff, and we’ll do the rest. We’ll get bespoke quotes for you from each supplier, and help you choose the deal that gives you the best value for your business.